In my intray the Empire of Ys! Its official Dr Mitch (aka Paul Mitchener) is an RPG Writing Machine. 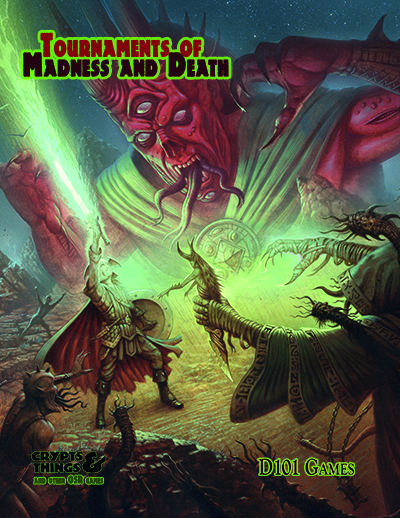 This is his tribute to D&D, which is inspired by a love of Planescape and a style of play that revolves around exploration for the Empire of the title and the machinations of the movers and shakers of the setting rather than simple dungeon crawling. Its a self contained game of 12 chapters, 201 pages,including a starter adventure (but bear in mind you start at 3rd Level). Overall its got enough character of its own for me (and you) to give it time amongst all the D&D love letters out there. Date of release, certainly not until the behemoth that is Crypts & Things is out, so cautiously early next year.